Alzheimer’s disease is one of the deadliest, costliest, and demanding diseases in the world. It’s the fastest-growing cause of death in the world. Unfortunately, no drugs have been developed to prevent or reverse the brain disease. A promising new medication known as BAN2401 might offer hope, while helping redirect future research on effective treatments for Alzheimer’s disease. Drug makers Biogen and Eisai teamed up to develop an antibody that can remove deadly proteins from the brain. Yesterday, the companies released results from a clinical trial of the drug, which included 856 patients. All were diagnosed with either mild cognitive impairment or mild Alzheimer’s disease. All had significant accumulations of the amyloid protein that clumps into plaques within the brain. They presented their findings at the Alzheimer’s Association International Conference in Chicago. The results have sparked cautious optimism. The results haven’t been peer-reviewed or replicated by other researchers, yet. However, the companies claim that the drug slowed Alzheimer’s disease progression by 30 percent. Alzheimer’s disease is an extremely complex disease of the brain. It’s not caused by a single cell failure. Instead, the best scientific understanding of what’s likely going on with Alzheimer’s disease is called the amyloid hypothesis. Beta-amyloid is a protein in the brain, and when it’s metabolized abnormally, it sets off a cascade of events that eventually kills the nerve cells in the brain and causes the brain to shrink. After this neurodegenerative process begins, people start to experience the hallmark symptoms of Alzheimer’s disease, including memory and cognition. Despite the fact that Alzheimer’s disease is the most common cause of dementia there is not a single drug available to treat the condition—not just symptoms. The path to finding a drug that would stop the progression of or reverse the disease has been littered with expensive failures. The new, experimental medicine, BAN2401, tests the amyloid hypothesis. When amyloid protein is misprocessed, it begins to accumulate in the brain, forming a sticky buildup outside the nerve cells called beta-amyloid plaques. The accumulation of amyloid also stimulates an immune response, which causes another set of proteins (the tau proteins) to form tangles inside the nerve cells. BAN2401, which is delivered intravenously, is an antibody that helps the immune system fight that disease process. In the placebo-controlled, double-blind, randomized study of 856 patients with early Alzheimer’s disease, the drug companies said brain scans showed that higher doses of the medication were able to reduce amyloid plaques after 18 months. 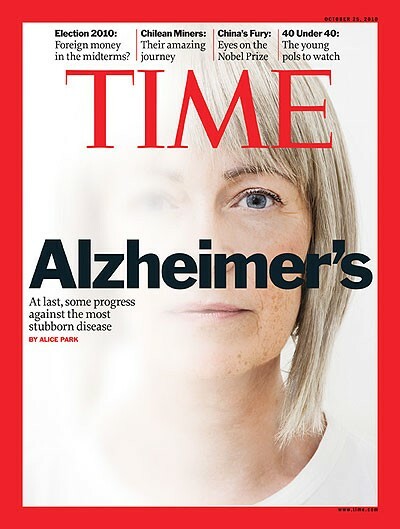 They also used an Alzheimer’s scale (called ADCOMS) to measure clinical symptoms in the patients, and found that the reduction in plaques corresponded with a slowing of Alzheimer’s disease progression by 30 percent. The most common side effect was allergic reaction at the site of infusion, and some patients experienced brain swelling. If the drug is approved for market, it could mean people with early-stage Alzheimer’s disease might be able to slow the disease pathology. It could mean that we finally have an actual treatment for the disease–not just its symptoms. The results are still preliminary and not yet peer-reviewed or published. “We want to make sure the data are meaningful and reproducible, and I think doing another trial to be able to reproduce the results would make good sense,” Salloway said. The researchers used a complicated study design that must be validated. The trial was initially designed to test people’s responses to five dosage levels of BAN2401, compared to placebo, for one year, using an “adaptive” approach, meaning they could shift people from one dose group to another depending on how they were responding to the drug. They then used Bayesian statistics to analyze their results, and found the medication didn’t work after running the trial for 12 months. The companies released those failed results in December 2017. But when researchers used more traditional statistical methods to reanalyze their data, and ran the trial out to 18 months, the drug appeared to work at the highest doses. A treatment for Alzheimer’s disease continues to elude industry titans as many of the large biotech and pharmaceutical companies have halted development of Alzheimer’s disease medication. Pfizer Inc. stopped pursuing research into the neurodegenerative disease in January, while Merck & Co. ended its late-stage trial for an experimental drug in February after that drug failed. Most recently, Eli Lilly and Co. and AstraZeneca Plc’s collaborative effort ended in June after a third-party group recommended stopping development of their lanabecestat drug because it did nothing for people with early onset and mild dementia. Confidence about Alzheimer’s disease treatments remains low among investors, but Biogen’s BAN2401differs slightly from how other tests have been conducted, which has stirred interest and controversy. While no one will see revenue from BAN2401 for the foreseeable future, Wednesday’s presentation could inspire confidence in aducanumab, Biogen’s other Alzheimer’s disease drug. Aducanumab just finished enrollment in its Phase 3 trials for the drug and results are expected to come in 2020. BAN2401 and aducanumab are both antibodies that latch onto and reduce the amount of amyloid plaques that build up in the brain. Amyloid plaque buildup is the prevailing theory for the cause of Alzheimer’s disease and other forms of neurodegeneration. Dr. Sperling, who briefly advised Eisai last year on a different drug, called the reductions in amyloid dramatic, but said the cognitive results were less impressive. “If you could really slow decline by 30 percent for people who are still normal or very mildly impaired, that would be clinically important,” she said. Dr. Samuel Gandy, associate director of the Mount Sinai Alzheimer’s Disease Research Center, said that for the drug to really be effective, it would have to allow patients to function longer independently without needing caregivers to help them with basic daily activities. That kind of practical application was not reflected in the data presented Wednesday. Dr. Gandy said the BAN2401 results were encouraging for the prospects of aducanumab because it suggests that there are at least two compounds that may be able to attack both amyloid buildup and cognitive decline. Some potential Alzheimer’s treatments have resulted in serious side effects, including dangerous swelling or bleeding in the brain. Fewer than 10 percent of the patients taking the new drug experienced such complications. The drug works by attacking the stringy amyloid tendrils that form before they begin sticking together into plaques. The results of the trial add evidence to the idea that treatment for Alzheimer’s is most likely to succeed if it starts early in the disease process, because the brain begins to deteriorate years or even decades before full-blown dementia occurs. Some other drugs have failed because they were tried on patients with more advanced Alzheimer’s disease. Other drugs targeted the amyloid at later points in the disease progression. Eisai is the maker of Aricept, which is one of the few drugs that can help slow early memory decline, but which is effective for only about six to nine months. While we all wish a drug could slow progression but Alzheimer’s is such a multifactorial disease, that involves brain inflammation and progressive loss of neurons. It has been linked to infection in the brain, and the amyloid theory is only one of others. Ultimately until scientists figure out what causes the disease, they won’t be able to synthesize a drug to stop it. Lane Simonian wrote this on Alzconnected in July 2018 in regards to the BAN2401 trial. “Biogen is a company that seems to be manipulating data. In its trial with Aducanumab, it released data on all its doses except the 6 mg dose. Four months later it released the data for the 6 mg. dose which did not significantly effect the progression of the disease. When did the company know this? In the current Aducanumab trial, Biogen increased the trial size in the midst of the trial, because it apparently was not getting the results it wanted. In the BAN2401 it changed statistical methods because it was not getting the results that it wanted. My husband has been diagnosed with Alzheimer in 2016 there’s a herbal foundation in Johannesburg they cured my husband Alzheimer’s disease . Pm me i will give their details. People can search about them on Google or youtube(total cure herbal foundation). My husband faced many difficulties and was in several depression, Trouble understanding visual image, aggression ,so many,.